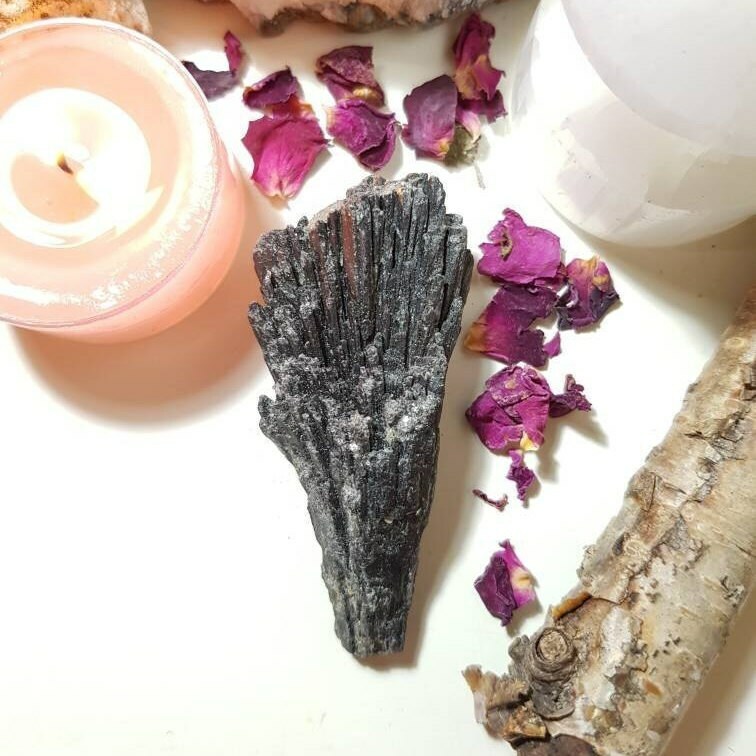 Black Kyanite aids in the manifestation of vision and clairvoyance. 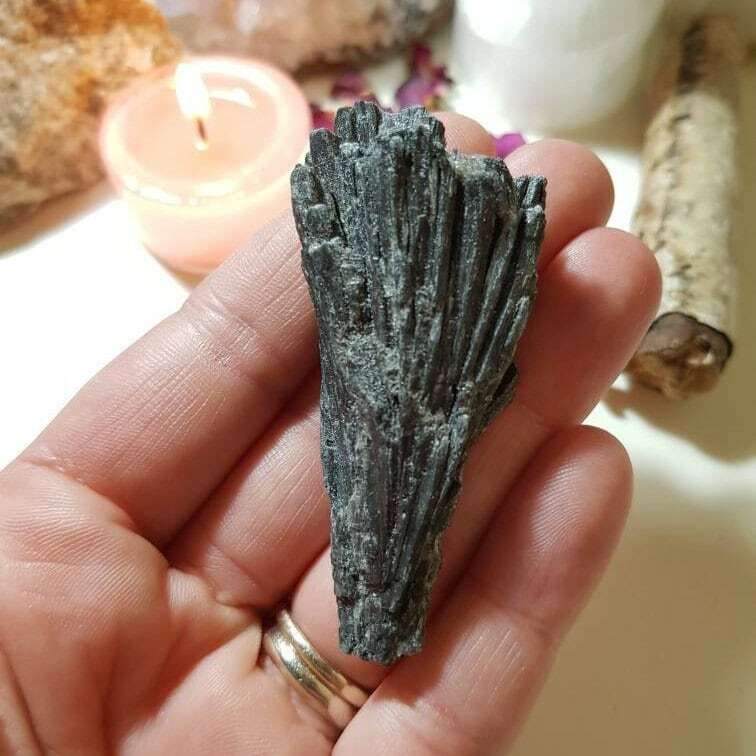 Full of healing energy, Black Kyanite is a favorite among energy healers, and is especially helpful in body layouts. 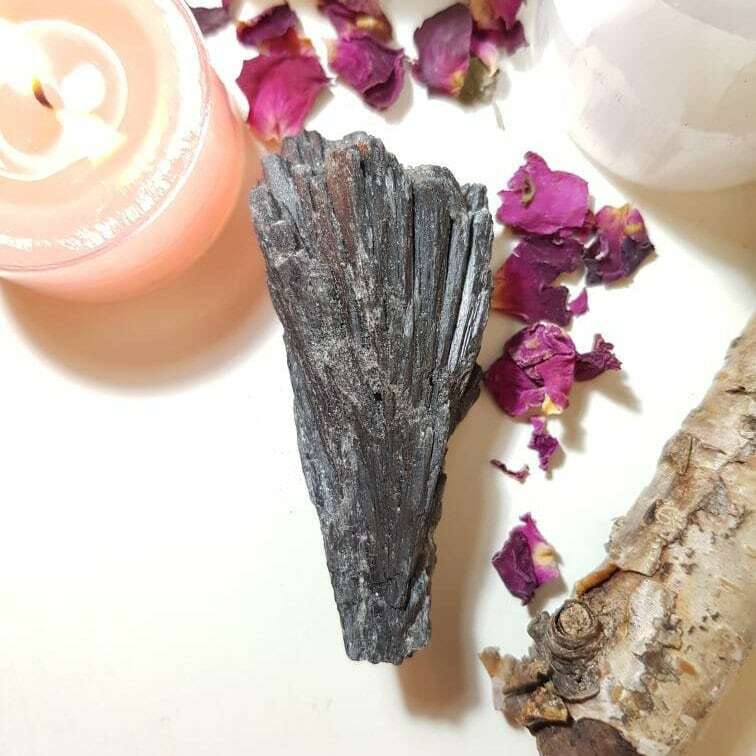 Black Kyanite can be placed on any chakra to send healing energy to any tears or holes in the chakras and the aura. 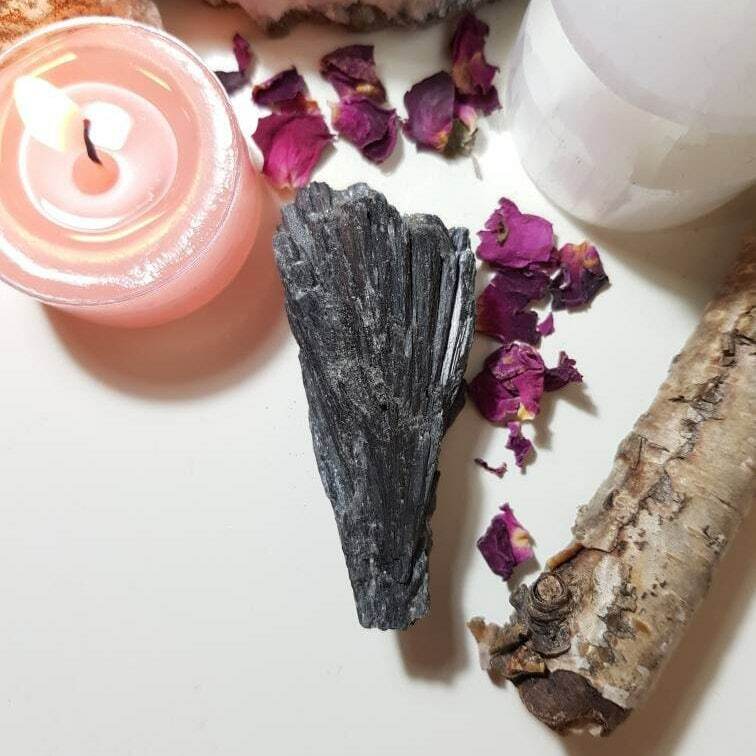 Its fan shape can help to sweep away any unwanted energies. Measures approx. 6.5cm x 3cm.